Islam is a religion fit for all times and climes, and all localities, because it is the religion of higher values. We read in the Quran: "Be tolerant, and command decency, and avoid the ignorant" (7:199). Tolerance is about forgiving and forgetting trespasses against oneself done by others. Decency here means what is known to people to constitute goodness, justice, charity, right, leniency, and mercy as well as other higher humanistic values. Avoiding the ignorant means not to respond to their ignorant remarks with endless debates; it means to forgive them and ignore their criticism and/or accusations. Advising others with decency, morals, values, and good deeds as well as admonishing and rebuking them for bad deeds is an Islamic command in the Quran to reform society in an on-going basis. We are to spread all higher values and to advise others to stick and adhere to them. Wrong, evil, or bad deeds are those known to societies to be deemed as such. We are to advise others to eschew such deeds. This is cooperation in piety and charity stipulated in the Quranic text. We conclude then that Islam contradicts the tarnished image of it spread by terrorist Wahabi Sunnite extremists. There is no such thing as Sunna of Prophet Muhammad. The only thing he gave to us is the divine revelation: the Quran. Muhammad was sent as a mercy to the humankind, not as a means or tool to kill and terrorize others: "We did not send you except as mercy to humankind." (21:107). During the obscurantist Middle Ages, the so-called Muslim imams of fiqh (theology falsely attributed to Islamic sharia) tackled the issue of the difference between the rights of God and those of humankind. God's due rights include that believers worship Him with no other partners/gods/deities. This is rewarded in the Day of Judgment and in case of violation, polytheists are punished. As for human rights, those imams wrote that rights of humankind cannot be postponed: everyone has to right to be alive, to feel safe, to own possessions, etc. some enlightened imams learned that directly from the Quran, and thus, they wen against the obscurantist unjust logic of the Middle Ages culture. The human rights culture of Islam found its only chance to be applied by the Umayyad caliph Omar Ibn Abdel-Aziz. Such culture proves that Islam is applicable in every era as it sides with innate natural instinctual humane feelings, higher values, and humanistic viewpoint and outlook to life. Islam, i.e., the Quran alone, can be applied even when the spread culture surrounding us is contrary to it. the modern age now is one of democracy and human rights and all other higher values of humanity; yet, Islam is accused of being fanatical, extremist and as a source of global terrorism. This is due to the culture contrary to real Islam (the Quran) spread by Wahabism and its extremists who aim at nothing but to control others and coerce them in matters of religion. We have spent 20 years in Egypt proselytizing and preaching true Islam; i.e., Quranism, which was followed by Prophet Muhammad. We suffered at the time torment of being chased and driven out and threatened by the ignorant ones. We tendered our resignation from Al-Azhar University; yet, Wahabi Sunnite terrorists chased us in every mosque and managed to prevent us from performing congregational prayers at home in Cairo and in our village. They tortured some of our family members and relatives and threatened the others to stop seeing us because they used to pray with us at home. This led us to stop visiting our village. Those ignorant ones had driven us out of our village home that we have turned into a mosque. We have immigrated to the USA, the country of complete religious freedom, only to find, to our dismay, that all Wahabi extremists control all American mosques. We went on praying alone every Friday noon as usual at home, feeling isolated. The question remains branded in my brain: Why cannot be a Quranist mosque; i.e., a true mosque, to remember and mention God alone, with no other mortal gods and deities, and to preach and proselytize Quranism and long-forgotten values of real Islam: justice, tolerance, liberty, freedom, human rights, and democracy. The Quran asserts these values 14 centuries ago before the UN and other bodies in the 20th century. Can such a true mosque of Quranists be established in the USA, the country of liberty, freedom, democracy, tolerance, and human rights? 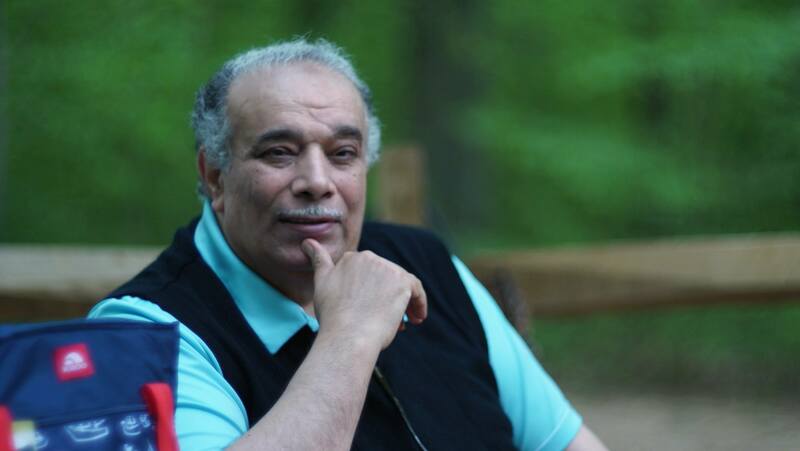 This is the question that has crossed our mind, and the one who encouraged me to reveal it here is Dr. Saad Eddine Ibrahim, the American-Egyptian sociologist, our comrade in the peaceful struggle in Egypt against tyranny, when he visited us at home in Virginia, Alexandria, Fairfax, Springfield, VA, USA. Along with both of us at home was my friend (the Egyptian Coptic Orthodox) journalist Magdy Khalil, and the three of us spent some time remembering and reminiscing about the good old days in Egypt and our future hopes. We talked about our person being restricted and obliged to pray at home always. We told both of them about the complaints of enlightened American Muslims about the backwardness and shameful ignorance of preachers and imams in American mosques and about the tarnished image of Islam as presented by such imams. Discussions went on and the necessity of the existence of a Quranists' mosque was made clear. Muslims are in dire need of a mosque in which one can learn about true Islam (i.e., Quranism) away from the dominant culture of extremism and terrorism. Such a Quranists' mosque can be a nucleus of a school of thought to teach Quranist preachers/imams to proselytize the true Islam among Muslims. These Quranist imams can prove easily to the West the contradiction between Islam and extremism/fanaticism of Wahabism. Dr. Saad Eddine Ibrahim proposed to us to write about this idea to the general readers among Muslims everywhere to seek their advice. This we have done now by means of this article. What do you think, my dear readers, about establishing a Quranists' mosque in Virginia, Alexandria, Fairfax, Springfield, VA, USA, so as to make this mosque a center from which Quranist imams/preachers will graduate, while coping with our modern age of democracy and human rights? By supporting this idea, it can be implemented. We are waiting for your comments and messages in reply to this article.